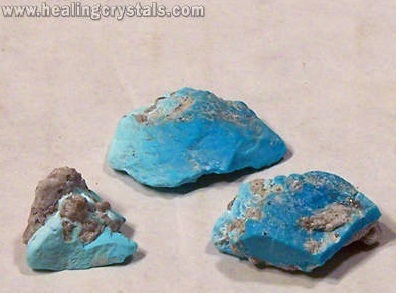 Can I Use Turquoise To Make Crystal Water? Thanks so much for your question about whether you can charge water with Turquoise. You absolutely can but do not place the Turquoisein the water. Place it on the outside of the water either around the container or on top of it. If you have Turquoisejewelry that can be an excellent tool to charge the water. I use bracelets on water bottles all of the time. My refrigerator looks like a jewelry store! Here is the link to our "Crystal Cautions"that gives a you a comprehensive list of our crystals and how to use them safely. You will see that Turquoisecan be toxic if it is used in the elixir but you will receive it's energy and benefits by placing it on the outside of the water. Thank you again for your question and for your support of Healing Crytals.com. If you have more questions please feel free to write back. We would love to hear from you again.